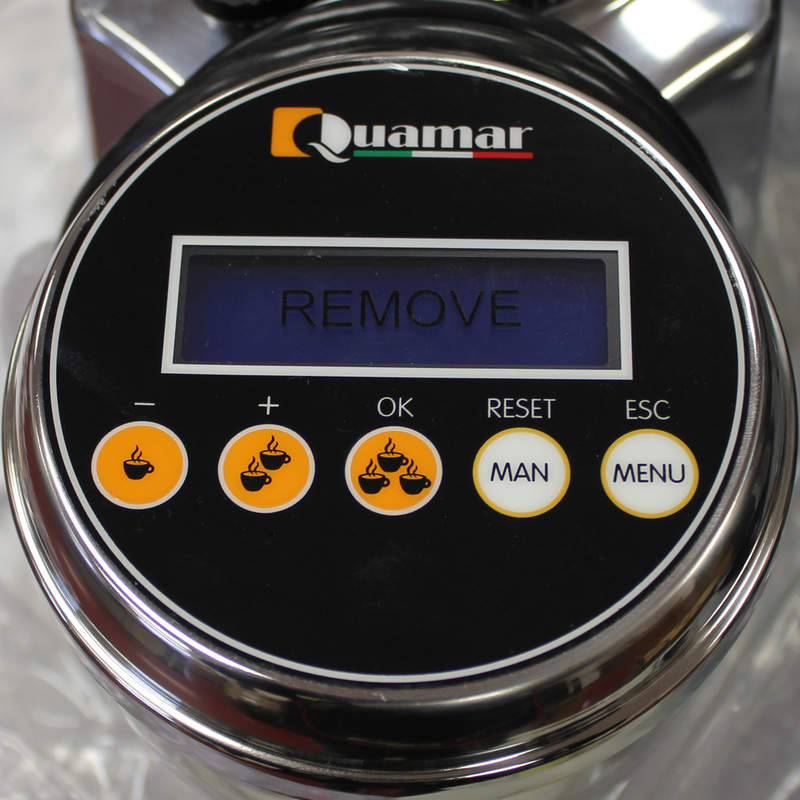 Quamar, well established Italian design, presents M80E Grinder with on demand electronic with touch screen display and 63 mm flat burrs which gives high performance. It comes with mini steps for minute adjustment to grinding. 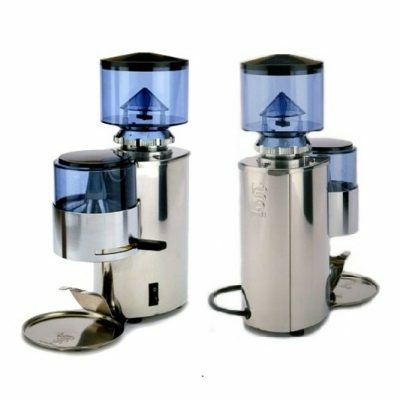 With is aluminium body and smaller footprint, it gives premium look to your home barista or cafeterias. 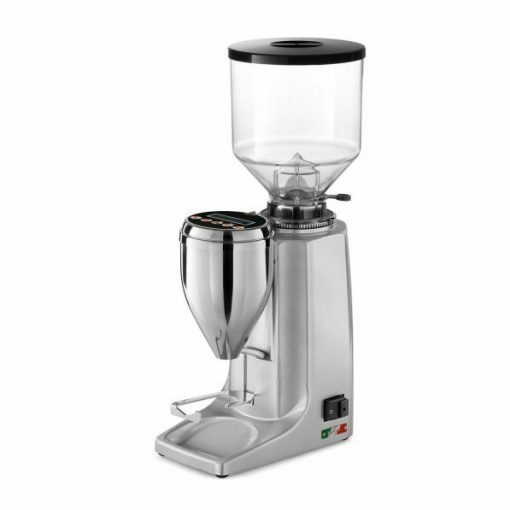 It gives 3.5 kg of powder daily which is more than enough for medium consumption. 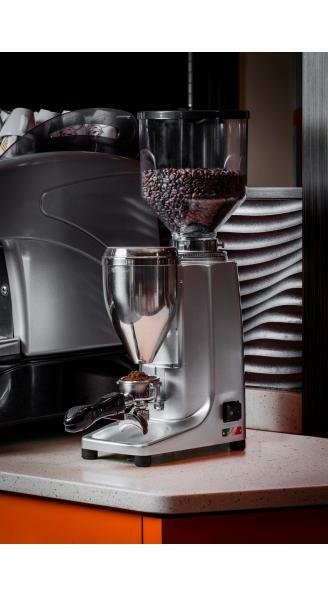 Grinding adjustment – Comes with stepped adjustment dial underneath hopper so you can fine tune your coffee easily. Multiple dosing options – There are 4 dosing options. 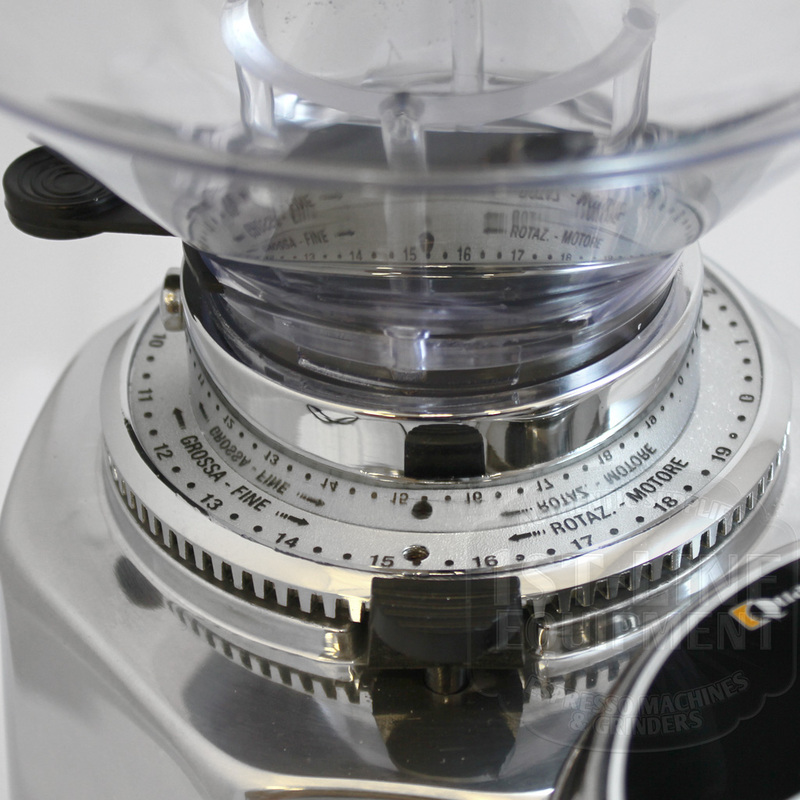 Single dose, double dose, triple dose, and manual dose. 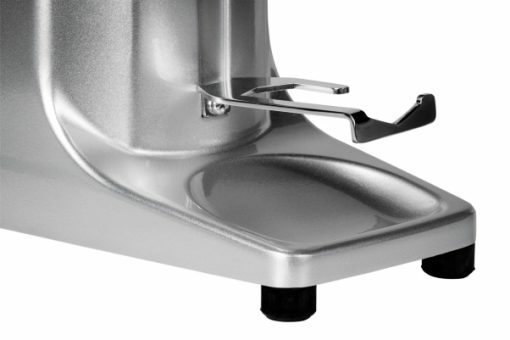 Durability – The hardened stainless steel and the heavy duty motor should last well for years. 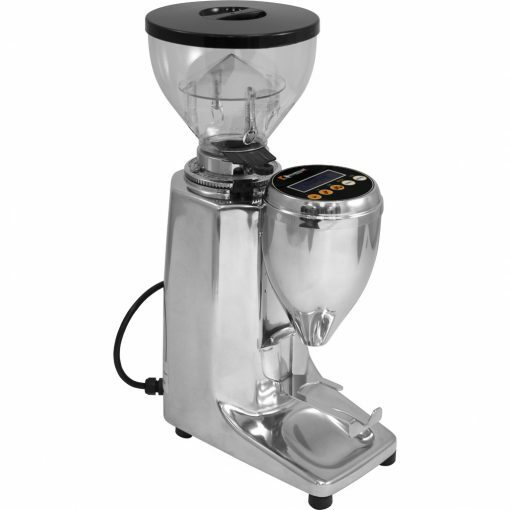 Control – With time based grinding you can adjust the the time for each automatic dose up to 640 seconds max. Adjustments can be made by 0.05 second increments. 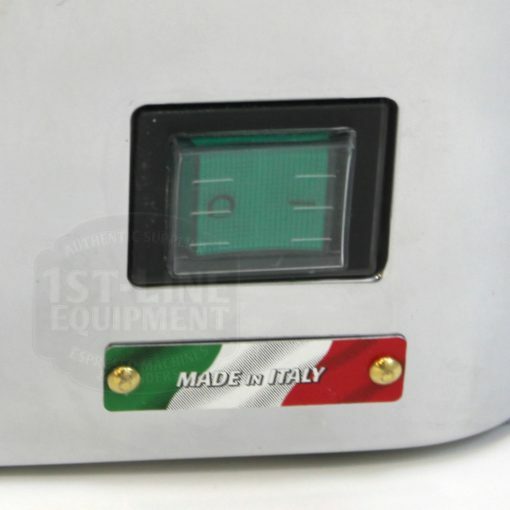 Buttons: Buttons are touch sensitive and don’t require a hard press nor need the buttons depressed. Interface: It has an electronic timer to dose the amount of coffee needed according to the duration set program to an accuracy of up to 0.05 seconds.